Have you had a post in your drafts far longer than planned? I do it all the time and really need to get my #realtime blogging game on point o.
O well, I won't complain anymore, here it is and I really liked doing this particular video. Not sure why, maybe 'cos I was watching Disney while recording but. I just love it. Several layers of the Shine Lover which is super moisturising. I must admit that it isn't super pigmented but will suffice if you are patient enough to unconsciously apply multiple layers without thinking too much about it. It's great that it glides on easily too so that shouldn't be a problem. 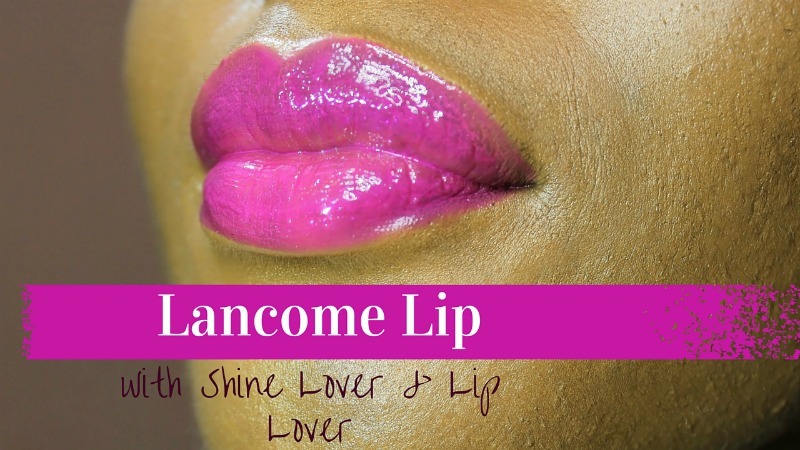 Couple layers of the Lip Lover over the Shine Lover. I thought I was over gloss (always disliked it) but this has re-kindled a not so dead love of gloss. It's glossy without being sticky and that is a super big deal for me as that's one of the reasons why I'd rather do a balm than a gloss. Next thing to try with is the Lip Lover alone though. You bet I'll give that a go and let you guys know.